Nepali Cricket in the 2nd Millennium: a preview of a new era in Cricket. Nepali Cricket is in its golden age and rightly so cricketers are more exposed to the cricketing world than ever. It has gone through all the blood and sweat of many of the players, ex-coaches, staffs and officials in the past, their dedication as well as insight that brought Nepali Cricket to this level. Not all is well always in the context of Nepali cricket and the image that the team captain Paras Khadka have shared just few minutes ago depicts the real picture of cricket for people in Nepal. The flag is raised neither up, nor down, neither straight, nor tilted yet the wind is making the flag wave with a still momentum, which counts a lot at the end. The strong hand in that picture solely defines the player’s will power and never dying attitude that made everything to cheer about for each and every citizen of this Himalayan Country in South East Asia. Right from the age of 1920’s when the entire cricket records were booked by Australians and English in the likes of Herbert Sutcliffe, John Berry Hobbs, and Frank Woolley while Jack Ryder, Herbert Leslie Collins, Nepal got the introduction of cricket. Lt.-Gen Madan Shumsher JBR, the youngest son of Maharaj Chandra Shumsher JBR made it possible as the elites new that cricket was then, just a gentlemen game. Although, cricket was just limited to the patricians, thankfully Cricket Association of Nepal was formed in 1946 to keep cricket functioning among the superiors of the society. 1946 was last of the years of undivided India that toured England for a historic series. The Indian team led by Nawab Pataudi senior, were in little knowledge about the year that would follow such riots in Calcutta, before ending the internal warfare into a division of their nation into two religious majority nations into the world map. Not before 1951, a year that restored Democracy ending century of Rana regime in Nepal, cricket began to expand among the public. But, it was just 1980 when transportation as well as communication infrastructure got going and brought cricket to other parts of the country. Similarly with the growth of craze and following of cricket, ICC granted an affiliate membership to Nepal in 1988. Eventually, it became a full Associate member of ICC in 1996. The year 1994 when Nepal became associate member of ACC to the member of ICC in 1996, world cricket were in the phase of transformations of then youngsters to some greatest cricketers in the likes of Brian Charles Lara, Sachin Ramesh Tendulkar, Ricky Ponting, Wasim Akram, Waqar Younis, Marvan Attapattu, Mahela Jayawardene, Kumar Sangakaara as well as Saeed Anwar. For Nepal it was the start with ACC Trophy in Malaysia where they finished 4th out of 6 spots available. 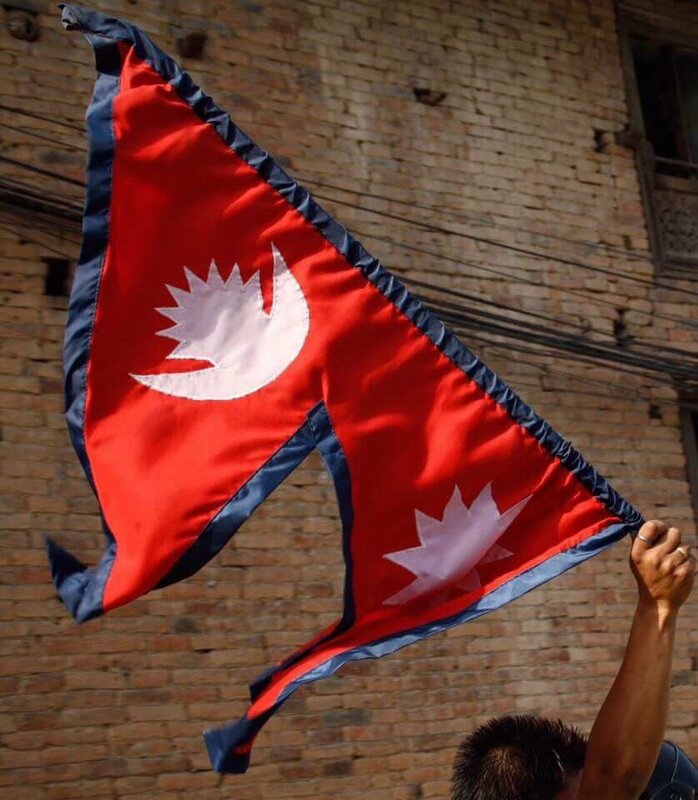 Since then, Nepal have gone through various phases of ups and downs and progressed through, step by step, fell, held, crawled, stood and delivered when mattered. Right from the 1st century of Raju Khadka, a pleasant as well as attacking batsmen to have led Nepal in the early phases to a consistent attacking batsmen who is undoubtedly one of the best Associate cricketers to have played the game, Paras Khadka, Nepali batting syndrome has been a great hiccup for the followers and fans who have watched single matches displayed in any of the communication medium. It also witnessed a golden era of Mehboob Alam, the Saptari tiger, as he is known all over Nepal, where he slammed 10 wickets against Mozambique to have booked his name in the Guinness World book records of Associate cricketer to have claimed all 10 wickets in a single innings. His flurry and attacking shot selections made him crowd’s favorite and drew thousands of spectators behind him. It was that era of Nepali cricket when Roy Dias, former Srilankan player, batsmen who was the 1st to have made 1000 test runs for his country coached Nepali side. After Roy Luke Dias handled the reign of cricket in 2001, a bunch of youngsters in the likes of Paras Khadka, Sharad Vesawkar, spin duo of Basant as well as Shakti and a lion hearted all rounder binod das got chance to express themselves with all his lucrative techniques and informative piece of advice. The continuation of Dias era was prolonged and fortunately for Nepal it got better with Pubudu Dassanayake who made the dream of playing in the world cup event possible for each Nepalese fan. It was in his tenure, the magic of Sandeep Lamichhane, was unveiled after he watched the teen bowled in the nets of Chitwan under former captain Raju Khadka’s Supervision. Pubudu was not only a coach, a mentor as well as path finder who undoubtedly motivated Nepal for their triumph in the world cup qualifiers in Zimbabwe earlier this year. His Facebook status few hours earlier is the symbol of his love towards this Himalayan nation that he always gave his heart out. From out and about situation to a holy comeback in the valentine’s day of 2018, Nepali cricket got Karan Kc’s doing to have won an impossible game that led the foundation for today historic clash against the aggressive cricketing nation of Europe, the Netherlands. A clash with the country who were affiliated 2 decades earlier than Nepal, Dutch team are in the peak of their game with aggressive batting, cunning bowling and supreme acrobatic display in the field. The glimpse of that was seen few days earlier in the Mecca of cricket when the Dutch batsmen hit the teen sensation of Nepal for 43 runs in his 4 overs quota of tough day in the house. Nepalese bowlers must have noted the rate in which Dutch batsmen could hit them in every nook and corners of the Cricket ground in their back ground. A historic day, a historic clash with experience of Gyanendra Malla , Sharad Vesawkar, Basant Regmi as well as Shakti Gauchan all looking to support youngsters like Anil sah who promised a lot in the recent UK tour, Sandeep Lamichhane who is a recent cricketing phenomenon in Nepal and Karan as well as Sompal leading the spearhead of Nepali bowling, captain Khadka has a challenge of bringing all his plans into execution today in few hours from now. Nepalese bowlers must keep on account of their top order along with wicket keeper Scott Andrew Edwards who hit 14 balls 34 in their last outing against Nepal. Their top guns in the likes of Rippon, Tendoeschate as well as Barresi would look to extract the condition which is looking great with minimum 17 degrees and Maximum 27 degrees with 85% humidity. The stage is set for a historic one day clash which is the first of many more to come in the history of passionate cricket lovers from Nepal to take their Golden era to new level of cricket.